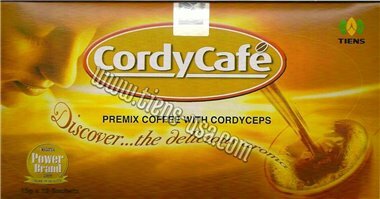 Coffee with Cordyceps – easy to use, high-quality arabica enriched with Cordyceps. We all like coffee. The smell, the taste, the rituals of brewing and drinking a fragrant liquid. However, do we all know that coffee has a lot of health benefits? Coffee contains lots of antioxidants (it's the biggest source of antioxidants in an average Western diet!) that help the body fight chemicals called “free radicals.” Among them is a chlorogenic acid, the main antioxidant in a coffee been that may possess a number of health benefits. When drinking coffee in moderate amounts (e.g. two cups a day), we help our body sustain internal balance, nourish body cells and stay vigorous. Studies have shown that drinking caffeine can increase your metabolism rate by 3 to 11%. It’s one of the few chemicals that can actually help with fat burning, so might as well drink up! It only takes ten minutes to start feeling the effects of caffeine after you take a sip of coffee, so drink up! Caffeine increases your levels of adrenaline, and releases fatty acids from fat tissues, encouraging our body to burn them more readily, leading to a better physical performance by those who consume caffeine before working out. 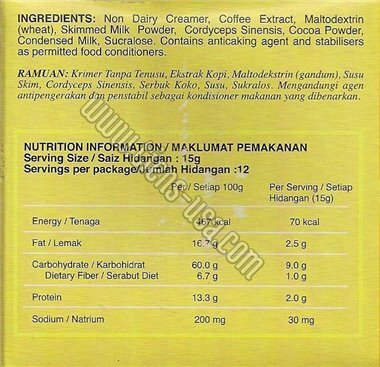 CordyCafe is enriched with cordyceps which makes this coffee even more unique and beneficial. Cordyceps mushrooms have been used for nearly 1,500 years in traditional Chinese medicine. In ancient China, cordyceps was well regarded by traditional herbalists for its rejuvenating and adaptogenic properties, much like ginseng. Cordyceps Sinensis, in particular, is reputed to be effective for building strength, strengthening the body’s natural defences and reducing the effects of ageing. It has also been used to increase energy, enhance stamina, and reduce fatigue. Recent scientific research on cordyceps has proved a broad range of biological actions. Mechanism of these actions has been primarily explained through high polysaccharide content in cordyceps and a presence of cordycepin and adenosine, substances with a large spectrum of biological activities, such as energy transfer. Cordyceps Sinensis has also been found to exhibit antioxidant properties, supports the body’s natural defence systems and boosts its natural response to severe conditions and unfavourable microorganisms. One bag 1-2 times daily. 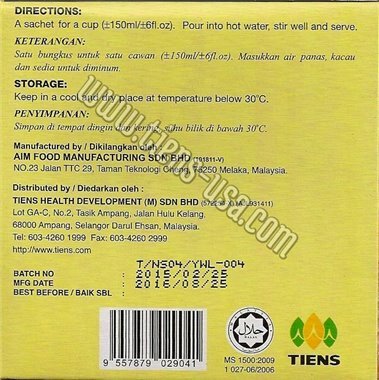 Mix with 150 ml of 70-80 Celsius degree hot water. CordyCafe – energy and the body’s vigour in a cup full of lovely taste and aroma!